Come and work at ADL - Recruitment May 21, 2015 We're looking for a front line Recruitment/Sales Person! Here at the Academy for Distance Learning, we are an expanding distance learning insititu..
Why Starting Small is the Way to Go With Distance Learning Jun 02, 2015 It's no big secret that there's a pretty incredible variety of courses one can do via distance learning. Everything from weekend certificates thro.. The Five Essentials of Helping a Troubled Friend Mar 14, 2016 The Five Essentials of Helping a Troubled Friend We have all experienced being close to someone going through difficult times. One of the most painful ex..
What are Counselling Skills? Apr 25, 2017 Some skills used by professional counsellors are similar to those used by anyone who listens carefully as part of their working role, or relationship. These ski..
Five Ways to Stay Motivated in your Studies Nov 09, 2018 We have all been there. A project that is started with great enthusiasm drops down the priority as life’s demands get in the way. Whether something happen.. So you want to be a Counsellor? Jan 04, 2019 Hundreds of hours of study, lots of volunteering, receiving counselling and more are some of the things those that want to be a counsellor will need to do..
You can do this course from India, including the exam. All of our courses are self paced and you can find our exam procedure here. The course is at level 4, which is above a A level, but not at degree level. The level is not a reflection of how difficult the course is, but ab indication of the depth of knowledge and skills you will gain from completing the course. This particular course is extremely popular and has had good reviews from previous students. When completing a degree, one normally covers a number of subjects related to the degree. For example a Degree in Counselling would cover various counselling disciplines. What this course does is to focus on careers counselling and will give you a very good understanding of the techniques required and qualify you to to advise people in this area. It is a specialised course. What kind of work would taking this course enable me to do? The course is designed to enable you to work in any area where careers advice is required. You will see from the customer comments on the course description, that graduates of the course have been able to use their newly acquired knowledge and skills in this area, to do just that. Therefore, you can be confident that the course has a track record of doing exactly "what it says on the tin;" it teaches people how to be a successful careers counsellor. I hope this helps and please come back if you require any further information. How long do you have access to the course material? You can take as much time as you need with the materials to complete the course, no deadlines, no stress. ( 18/06/2014 ) A: Hello Mahek, Our courses offer a student 100 hours of self paced and the chance to gain a certificate once they complete all assignments and the final project or exam at the end of a course. Once you enroll with ADL, you will have access to your online materials within 1 working day (often sooner than this) along with instructions on how to access your course. From that point on you are on your way to learning! Careers Counselling course online. Learn to advise others on their career choices. This accredited Level 3 course will develop your understanding of factors affecting career choices and planning, and your ability to help others plan and achieve career goals. The course is aimed at students who have prior experience or training in a related field such as counselling or social work, but will benefit anyone in their own career planning and development. Starting or changing a career can be quite a challenge. Without help, a person can easily become discouraged or overwhelmed. If you want to help others (or yourself) make sound career decisions and set realistic career goals, this course will set you on that path. Careers Counselling involves more than just finding work for people. identify new career possibilities when circumstances change. trends in the local job market. A good Careers Counsellor must be impartial and objective. Learn more about the employment industry and about ways to help others (or yourself) develop and pursue a career path that is both achievable and appropriate. Career Counselling is also a valuable addition to your teaching, counselling, management, life-coaching, or community services qualification. It can improve parents' ability to help their children choose suitable career paths, or student's ability to plan their own career or career change. Improved ability to distinguish successful from unsuccessful careers, and to prepare for anticipated changes in the workplace. Skills that will enhance your ability to guide others in the establishment or development of a career. Understanding and strategies for dealing with the needs of inexperienced young people. Identifying and meeting the needs of inexperienced adults or those facing career change. Understanding of how and where to find employment in the job market. Appreciation of the need to nurture and grow a career and plan for change. 2. Nature of Careers ...What is a career, what makes it successful? Conduct research to improve your understanding of what careers counselling entails. Plan strategies to assist young and adult clients deal with common and important identified issues. What is Involved in Careers Counselling? Iona has aslo written published books, courses and articles across a wide range of subjects, mostly in the areas of health, counselling, psychology, crafts and wildlife. Her books include: A Guide to Living with Alzheimer's Disease (and associated dementias), The Psychology of Facial Disfigurement; a Guide for Health and Social Care Professionals, When a Medical Skin Condition Affects the Way you Look; A Guide to Managing Your Future, Facing Disfigurement with Confidence, Cross Stitch: A Guide to Creativity and Success for Beginners. Careers Counselling – This is a mainly verbal process, where the counsellor and client are in a collaborative and dynamic relationship, focussing on identifying and acting on the goals of the client. The counsellor uses their repertoire of techniques and processes, to help the client come to an understanding of the options available. Career – This is the interaction of work roles and the other life roles the person has over their life span. This includes paid and unpaid work. People create career patterns as they make decisions about education, work, family and other life roles. Careers Counselling involves more than just finding work for people. • identify new career possibilities when circumstances change. • trends in the local job market. 3. Employee (Working for one or more others as an employee). The differences between contractor, businessperson and employee may vary from country to country, and even within a country. Differences can even vary over time (e.g. A contractor today has different rights and obligations than they did in the past, under some legal systems). The nature and conditions of employment can also vary from one industry or discipline, to another. A Careers Counsellor needs to stay up to date with changes, and needs to be well aware of the current situation in any jurisdiction where they operate. If you are not aware of these definitions and rules within your location, it would be useful to find out about them as soon as possible. General Employment Agencies - These agencies collate information on individuals and match those individuals up with appropriate jobs. Specialist Agents (e.g. Theatrical Agent, Writers Agent, I.T. 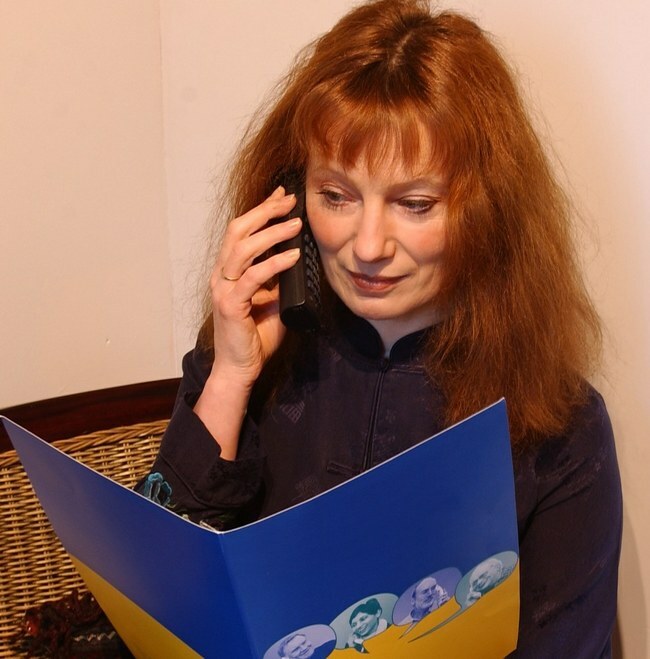 Agent) - These individuals are well connected and very knowledgeable about a particular industry. Therefore, they can provide specialised guidance to job seekers in that industry. Resume Writers – These individuals prepare professional-looking resumes for job-seekers either as part of a career support program or for a fee. It is important to note that different resume writers prepare different styles of resume. School Careers Counsellor – Ideally, these are counsellors trained to provide job-seeking assistance and career counselling to young people before they leave school. In reality, many are simply teachers who have agreed to take on this role. Job Advertisers – Professional or government job advertisers promote existing positions, sometimes for a fee to the employer. Some advertisers will also charge job-seekers a fee, to be paid after employment commences. Private Careers Counsellors – These trained counsellors provide individualised counselling and career guidance to clients who pay fees as agreed upon. Workers in this area may be counsellors who specialise in career counselling, or may counsel exclusively in the employment area. Business Consultant – Any person with business experience and skills may offer a consulting service that is particularly aimed at people wishing to begin small businesses, or to improve or expand existing businesses. • People have the ability and opportunity to make careers choices within their lives. The amount of freedom of choice will depend on their economic, social and cultural context. • Individuals are presented with careers choices throughout their lives. • Opportunities should be available to people regardless of their disability, sexual orientation, age, cultural background, gender or religion. • People will have a wide range of work roles during their lives. These include paid and unpaid work. • Careers counsellors support people to explore, pursue and attain their career goals. o Helping individuals gain a greater self-awareness in areas of interests, values, personality style and abilities. o Connecting students to resources so they can become knowledgeable about jobs and occupations. o Engaging students in the decision making process, so they choose a career path well-suited to their individual needs, abilities, values and personality. o Assisting individuals to be active managers of their career path – such as career transitions, balancing life roles, as well as becoming life long learners to develop over their career. • Individuals will enter particular occupations according to personal preferences, interests, external influences etc. • Career decision making happens throughout a person’s life. It is an ongoing process. It doesn’t happen only once. • All forms of work are valuable and all contribute to the well-being of society. In number 7 above, it states that individuals will enter their occupation depending on certain factors. Write down a list of things that you consider will affect a person’s career choice. Can I afford to go to college to train? Can I afford to go to university to train? Can my parents afford to send me to private school? Did I have a good education? Do I need to start work as soon as I finish full-time education? Can I do a part-time course while working? Can I afford to do a part-time course while working? Are my parents encouraging me to choose a certain career? Were my parents in a certain career and I’m expected to follow the family “tradition”? Do my parents disapprove of certain careers? Do I have a family of my own? Do I have young children so need to consider working or staying at home with them? If I work, what about childcare? Can I afford childcare to enable me to work? Can I take a career gap? Will this affect my ability to return to my career? Do I want to return to the same career? Do I need to earn more money to support my growing family? Do I need promotion to support my family? Can I spend more time at work to get the promotion? Do I have the qualifications to get onto the training course? Do I have the skills, personality and ability to do the training required? Is the training a long-term consideration or a short course? This is only a very brief list of questions a person might consider when thinking about their career choice. All of these should be considered. A careers counsellor will need to ensure that they are aware of all the factors affecting a person’s career choice. You have probably thought of many more. In number 8, it states that career decision making happens throughout a person’s life. It is an ongoing process. Think of yourself someone you know and develop a flow chart of their career. Getting Work In a Modern World eBook course online. 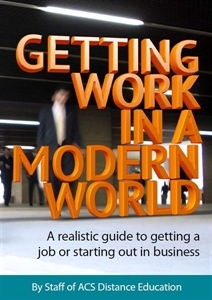 A realistic guide to getting a job or starting out in business.This is a must read; for students, parents, the unemployed, careers advisors or anyone interested in changing or forging a sustainable career. This is a must read; for students, parents, the unemployed, careers advisors or anyone interested in changing or forging a sustainable career. In the past, careers were simple. If you went to school and did the right training, you could be pretty certain of finding secure work, and earning a decent living. Careers are no longer simple! The world is in transition, and the changes occurring today are no less significant than those of the industrial revolution or reformation. There are two ways to react to change; either to become unsettled, or to see the opportunities it offers. This book is all about recognising the changes in todays world and discovering a career path, remaining flexible in your approach to work and building an advantage over your competition in the workplace. We are living in exciting times; and opportunities do abound for employment; but success depends upon a wholistic approach. Learning is still important, but qualifications might not necessarily be as important as you think. Learning must be coupled with other things like communication and technical skills, attitude, networking and experience. Studying remains an important piece of the puzzle if you seek a successful career; but without the other pieces of the puzzle, it may simply leave you stranded in unemployment queues. ACCPH Professional Accreditation Accredited by ACCPH, which allows you to join as a professional member after completion. Membership means you can add the letters MACCPH after your name.